HSA National School Choice Week. We choose Harmony!!!! https://harmonypublicschools.network/hsaelpaso-new/wp-content/uploads/sites/121/2017/10/HSA-El-Paso-white-letters-300px.png 0 0 Central Office https://harmonypublicschools.network/hsaelpaso-new/wp-content/uploads/sites/121/2017/10/HSA-El-Paso-white-letters-300px.png Central Office2018-01-23 15:20:222018-01-23 15:20:22GATE (Gifted and Talented Education) Announcement! This week is National School Choice Week January 22 – 26, 2018 and Harmony Science Academy El Paso’s administration and staff thank you for being part of our tiger family as your school of choice. Let us all celebrate this week with the following events. You may wear your favorite college shirt with school appropriate jeans. 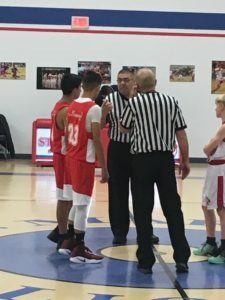 You may wear the exact same school-appropriate outfit with a friend or group of friends. 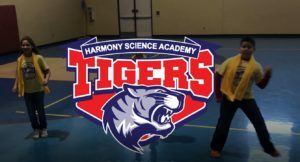 You can also create a poster and/or write about why do you like attending Harmony Science Academy. You may dress up as your future college-based career of choice. You may wear a yellow t-shirt, The National School Choice Week color, with school appropriate jeans. You may wear your favorite school spirit shirt with school appropriate jeans. High school yearbook on sale now! ATTENTION! ATTENTION! ATTENTION! High school yearbook is on sale!!! 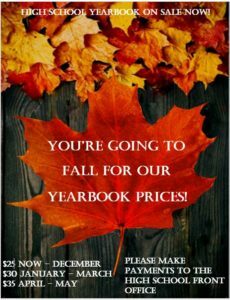 YOU’RE GOING TO FALL FOR OUR YEARBOOK PRICES! Please make payments to the high school front office! https://harmonypublicschools.network/hsaelpaso-new/wp-content/uploads/sites/121/2017/10/HSA-El-Paso-white-letters-300px.png 0 0 tkilic https://harmonypublicschools.network/hsaelpaso-new/wp-content/uploads/sites/121/2017/10/HSA-El-Paso-white-letters-300px.png tkilic2018-01-22 11:43:102018-01-22 11:43:06High school yearbook on sale now!